So I set up a steampunk style set up with place setting, candles galore and plenty of golden cogs and keys. 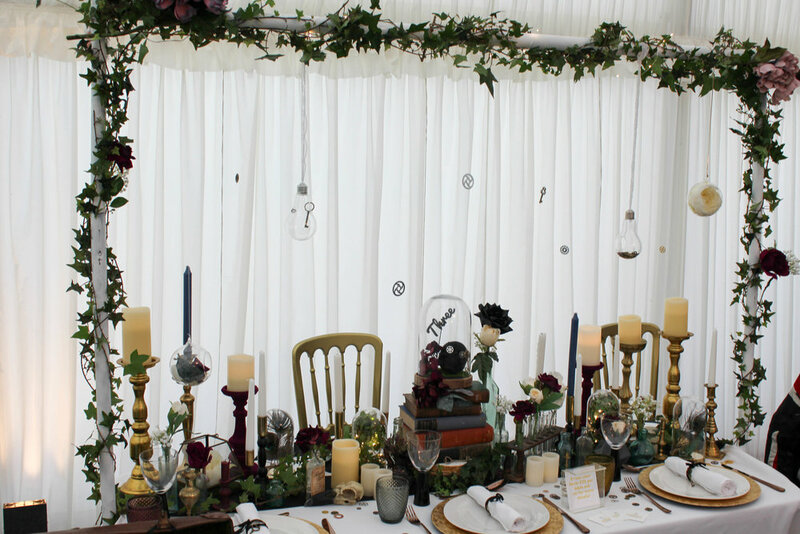 Mixed with a few key hire items and a bit of arrangement this style could be made to suit a range of styles with or without the Steampunk element. All in all a bit of a chilly day but a great one. It is fair to say there were some great Steampunk costumes on show during the day as the event was part of the Steampunk's in Space event. 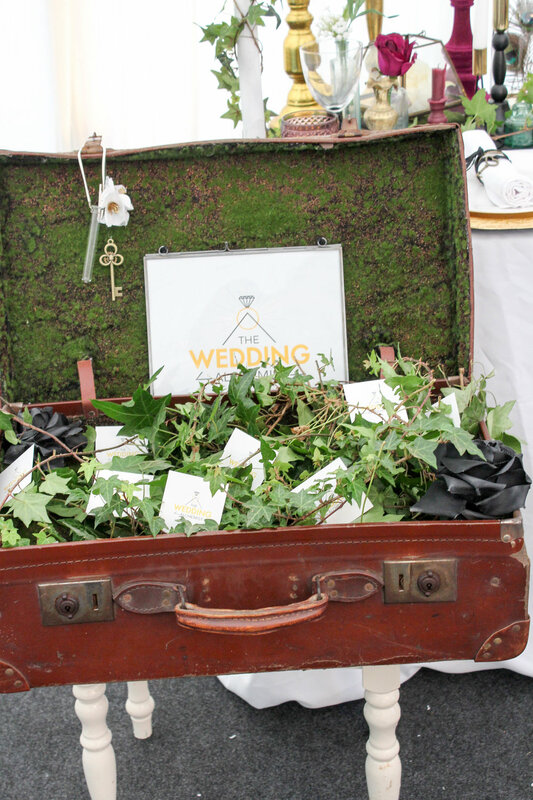 Met some interesting couples and would love to work with the venue again and chatted to some very talented exhibitors. Overall a good event and the first wedding fair I've done for a while and apart from sore feet at the end of the day it's a process I love. Interested in having your own Steampunk wedding? Fill out the form below if you want more information on what The Wedding Alchemist can do for you!